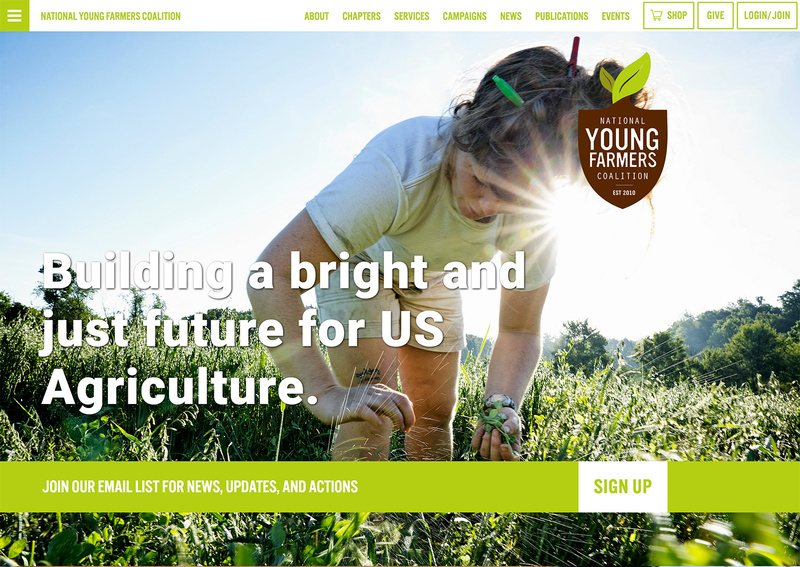 The National Young Farmers Coalition represents, mobilizes, and engages young farmers to ensure their success, envisioning a country where young people who are willing to work, get trained, and take a little risk can support themselves and their families in farming. 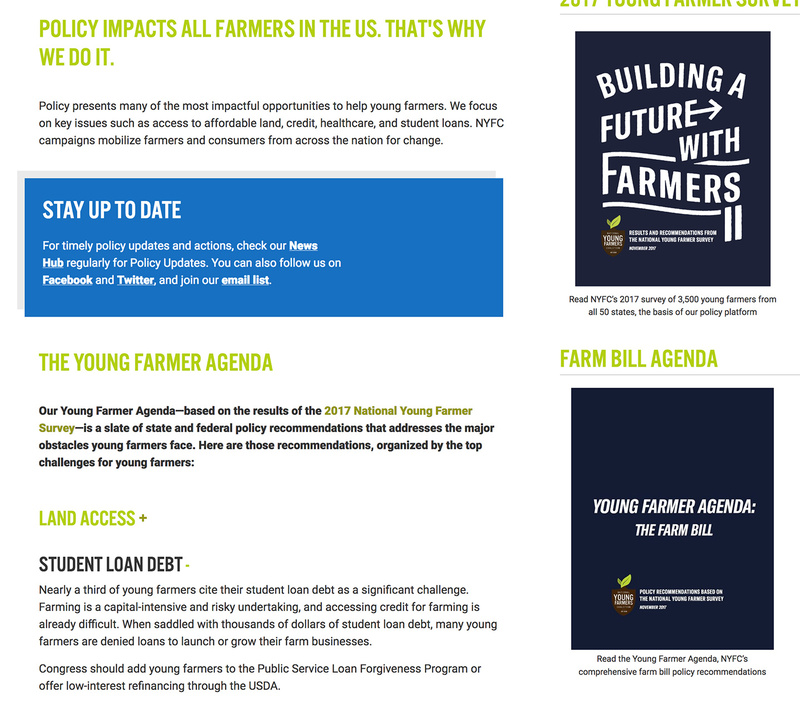 The National Young Farmers Coalition reached out to Social Ink for an overhaul of their home on the web. 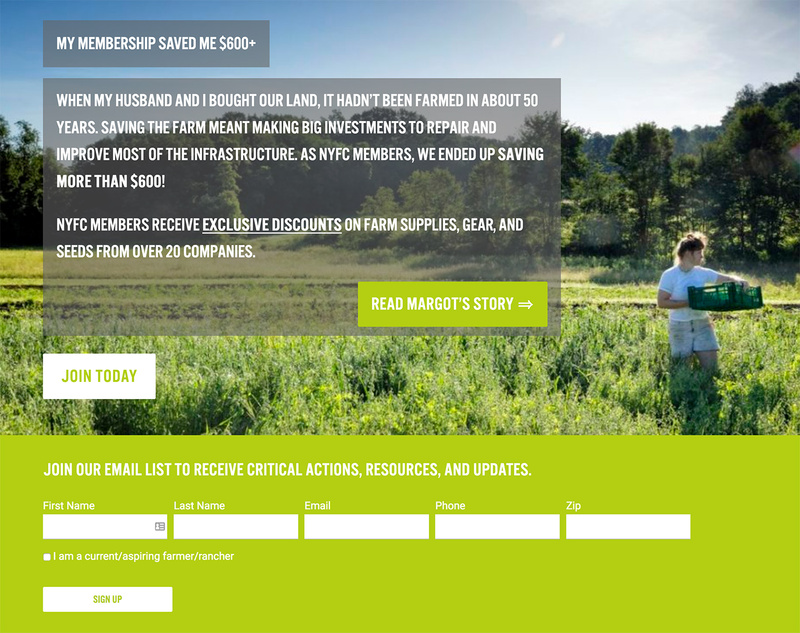 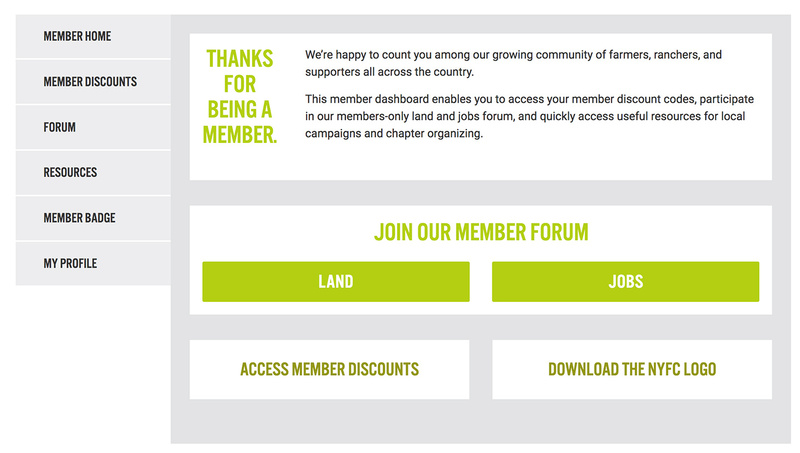 The new site takes the organization’s membership model to web, where users can join, pay dues, gain access to exclusive member benefits and farming resources, and much more. 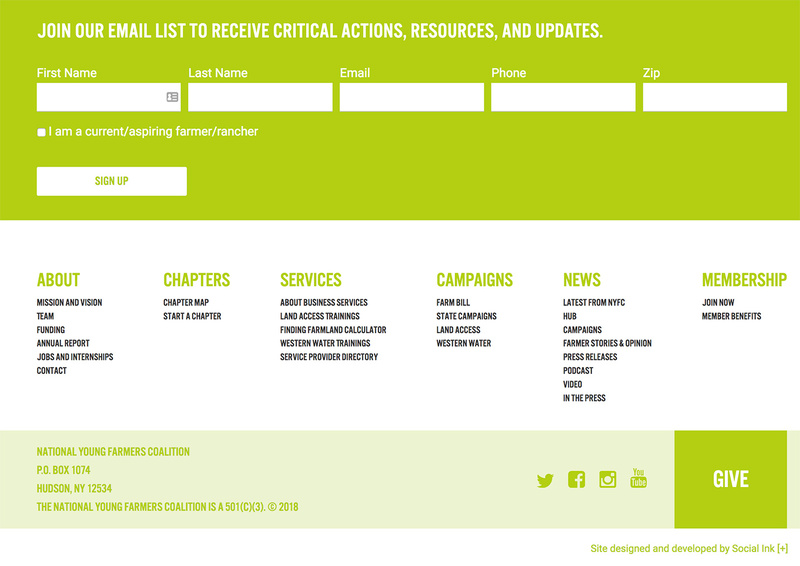 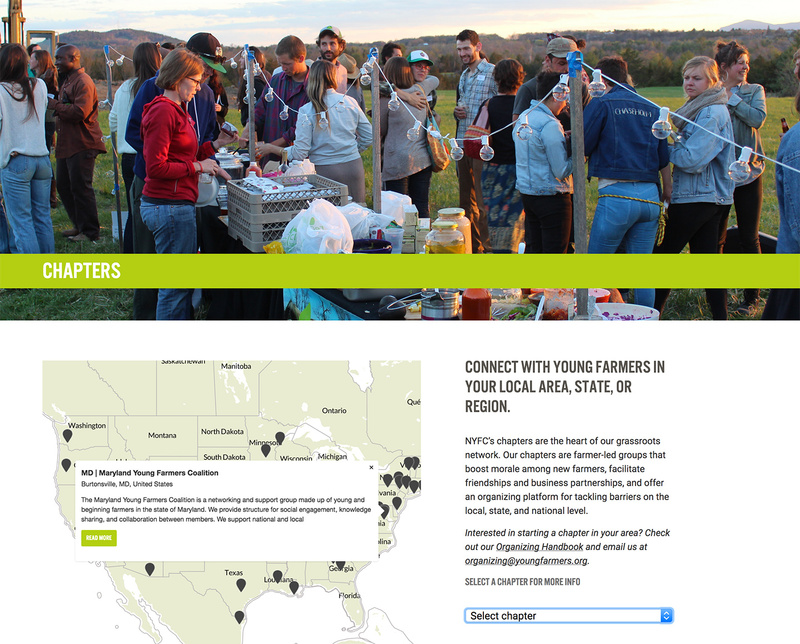 Top-line items for the project include an interactive map that plots the location and information of NYFC’s 40+ chapters across the United States, dynamic hubs that allow staff to effortlessly update info on campaigns, services, and news across the site, and the automated tracking of member dues and membership renewals. 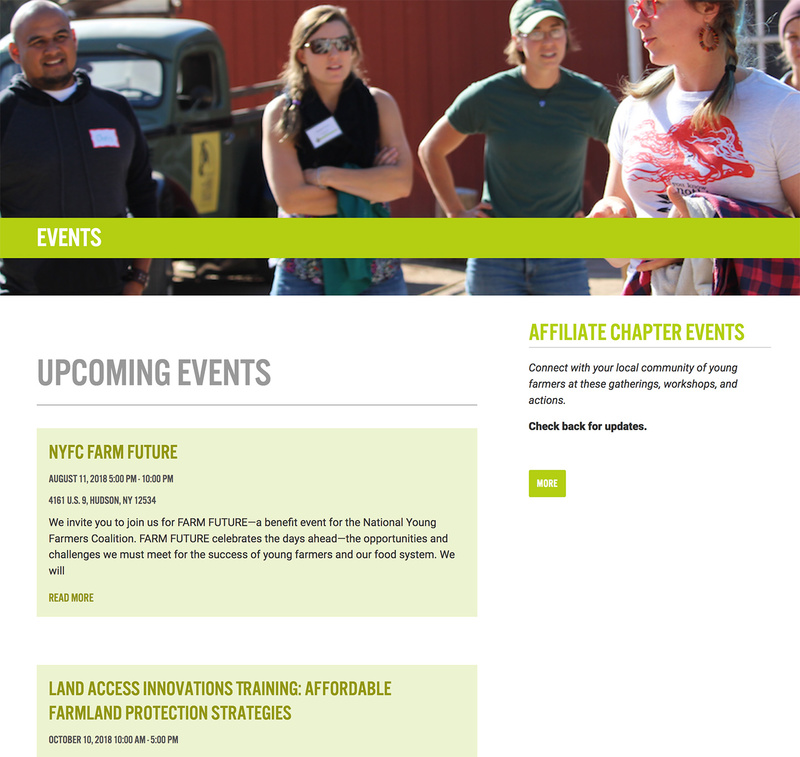 The new NYFC site is responsive across various displays, screens, and phones and has made managing member data and communications a streamlined and efficient task for their staff. 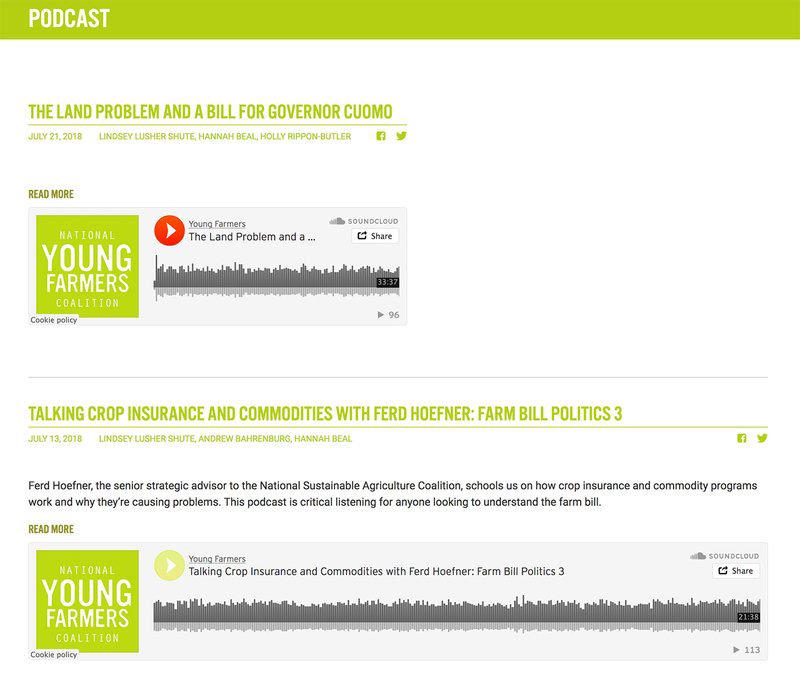 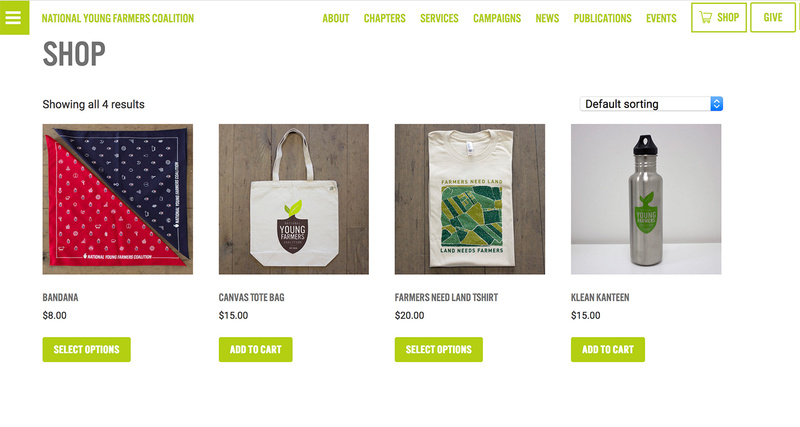 It’s an example of Social Ink’s work on websites for advocacy groups and we’re thrilled that it’s helping young farmers across the nation!